Galaxy S10e vs. iPhone XR: Which should you buy? Both the Galaxy S10e and the iPhone XR offer the best features of their siblings without the premium price tag. We use all the flagship phones, including iPhones, so you can make better buying decisions. The Galaxy S10e offers almost everything that the Galaxy S10 family does, at a more affordable price point. You get the same stunning design, outstanding performance and a wide range of colors. However, it doesn't have the ultrasonic in-display fingerprint sensor, has less RAM in the base model and lacks a telephoto lens. The iPhone XR offers some of Apple's key iPhone features at an affordable price. However, it removes the dual camera, the display is lower resolution and the base storage is only 64GB. The iPhone XR offers a cut-down version of Apple's flagship, at what is still a premium price. The iPhone XR is perfect if you want to jump into Apple's ecosystem at an affordable price, while the Galaxy S10e offers the very best of the Galaxy S10 family, at an outstanding price tag. Should you buy the Galaxy S10e or the iPhone XR? Both Samsung and Apple take different paths to reach lower costs than their flagship counterparts. Samsung's Galaxy S10e loses a rear telephoto camera, drops the screen resolution from 1440p to 1080p, minimizes the battery, and omits the fancy in-display fingerprint sensor. 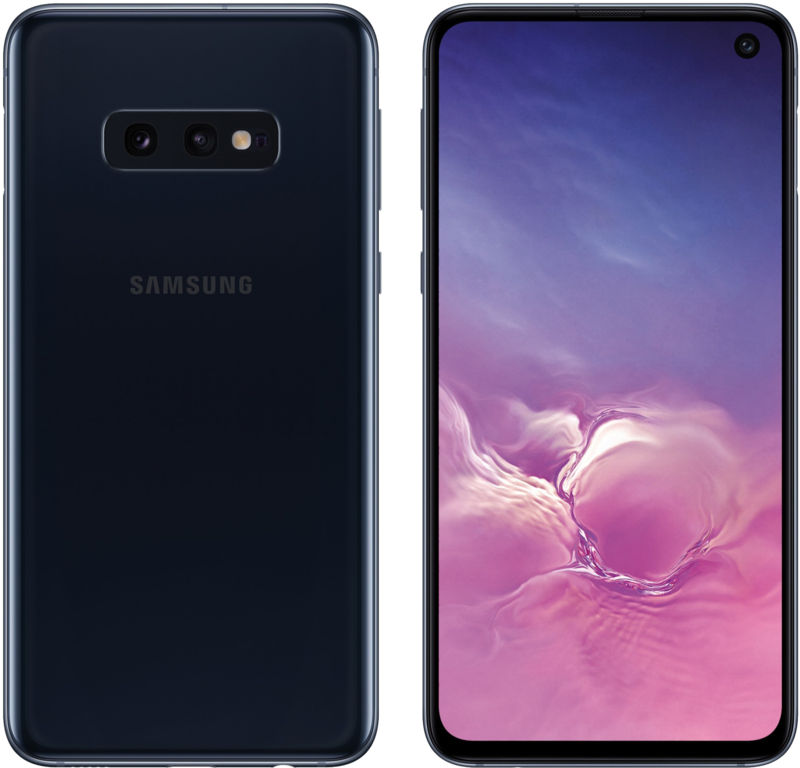 But overall the phone shares much of the same foundation as its Galaxy S10 and S10+ family, including a brand new Snapdragon 855 platform, between 6GB and 8GB of RAM, a minimum of 128GB of storage, the same main rear cameras, and ultra-fast 2Gbps LTE. Apple, on the other hand, drops the number of rear cameras from two to one, and takes the resolution from just over 1080p in the iPhone XS to around 820p on the iPhone XR. What's interesting is that with the iPhone XR, Apple increased the screen size over the iPhone XS to 6.1 inches, finding a middle ground between the two flagships. That bigger screen makes the phone awkward to use in one hand, something that the Galaxy S10e offers with aplomb thanks to its compact 5.8-inch screen size and smaller bezels. Still, Samsung appears to have found the better compromise between price and performance, though Apple likely boasts a battery advantage over the S10e. So which should you buy? It largely depends on your platform preferences, but despite the iPhone having some pretty great specs, it can't compete with the Galaxy S10e. The Apple iPhone XR offers the latest from Apple, including the outstanding Apple A12 Bionic processor, and allows you to get the latest Apple experience at a more affordable price. However, it does cut down on certain features and the lack of a Full HD display and dual camera in 2019, is unforgivable. It also lacks gigabit LTE, whereas the S10e offers 2Gbps speeds with some networks. The Galaxy S10e also offers everything you could want in an Android smartphone, and represents Samsung's biggest answer yet to the challenge of companies like OnePlus, Motorola and Nokia. With a starting price of $750, the Galaxy S10e starts $150 lower than the Galaxy S10, without any real drawbacks. On its own, the Galaxy S10e is an outstanding device, and compared to the rest of the Galaxy S10 family, there are many compelling reasons it could be your next smartphone. The very best of Samsung at an excellent price. The Galaxy S10e offers everything the Galaxy S10 family does, at a lower starting point, including an outstanding display, dual rear cameras, and great performance. However it drops the third camera and replaces the ultrasonic fingerprint sensor with one embedded in the power button. An affordable iPhone with key Apple features. The Apple iPhone XR offers everything you'd expect from the iPhone including Face ID, a great camera and the A12 Bionic processor. However it drops the higher-resolution AMOLED display and secondary camera.